7 Things You Must Know About: Civil Investigative Demands (Antitrust) - Oberheiden, P.C. In the United States, federal antitrust laws prohibit companies from engaging in commercial practices that have an anticompetitive effect on the market. Laws such as the Sherman Act include “private right of action” provisions that allow competitors and other interested parties to initiate civil litigation against companies suspected of engaging in anticompetitive conduct. However, antitrust compliance also falls within the realm of federal law enforcement, and the Antitrust Division of the U.S. Department of Justice (DOJ), the Federal Trade Commission (FTC), and other federal authorities routinely investigate companies suspected of antitrust violations. When conducting these investigations, the Antitrust Division and the FTC often rely on a unique investigatory tool known as the “civil investigative demand,” or “CID.” The Antitrust Division and the FTC (as well as other federal authorities) issue civil investigations to the targets of their investigations as well as third parties that are suspected to be in possession of potentially relevant information. For both target and non-target recipients of civil investigative demands, submitting an appropriate and timely response is critical, as failure to comply with a CID can lead to a finding of civil contempt and other penalties. If you or someone within your company has been served with a civil investigative demand from the DOJ’s Antitrust Division or the FTC, here are seven key pieces of information you need to know. Upon receiving a civil investigative demand from the Antitrust Division, the FTC, or any other federal authority, a company is under a legal obligation to preserve any and all records that are potentially responsive to the demand. This involves implementing an organization-wide “legal hold,” and it may require departure from standard policies for regularly-scheduled and automated record destruction. In order to ensure that all necessary records are being preserved, key stakeholders will need to work closely with outside counsel in order to develop a plan that is tailored to the organization’s specific infrastructure, policies, and procedures. As we mentioned above, receiving a civil investigative demand from the Antitrust Division or the FTC does not necessarily mean that your company is being targeted in a federal investigation. The CID is an investigatory tool, and one that federal authorities use extensively to collect information from individuals and entities believed to potentially be in possession of relevant information. Of course, the fact that your company might not be under investigation does not mean that you can dismiss the possibility of a federal inquiry out of hand. Particularly in the early stages of an investigation, it may not be clear what the Antitrust Division or the FTC is investigating based upon the requests in a CID. You will need your attorneys to make contact with the investigators and determine whether you are being targeted, and then you can begin developing a response strategy that is narrowly-tailored to the specific circumstances at hand. Even if your challenge is ultimately successful (it could take months to receive a response), you will still need to maintain a legal hold, and you will almost certainly still need to be prepared to submit a substantial response. If you are being targeted in an investigation, there are additional strategic considerations involved in responding to a CID. From opening a favorable dialogue with investigators to protecting yourself against self-incrimination, you need to carefully weigh all of the potential ramifications of the tone and nature of your response. 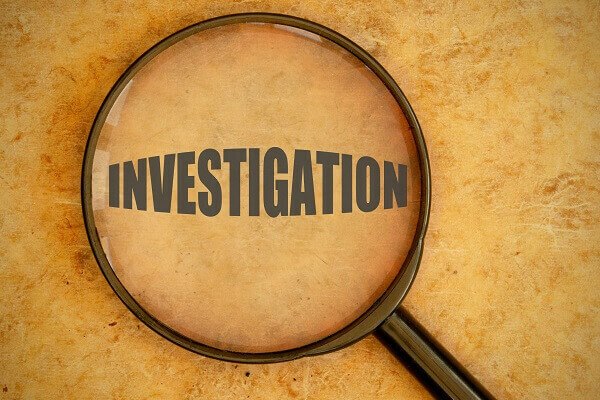 Upon receiving a civil investigative demand, many companies and their counsel attempt to respond in a vacuum. They take the CID at face value, and they struggle with various potential interpretations of the government’s requests for information without ever gaining a clear understanding of the government’s intentions. Why did you issue a CID to my company specifically? Can you clarify this specific request? Would this information be considered adequately responsive? Is it possible to extend our deadline to respond? Is it possible to limit our response obligation in order to avoid an extraordinarily burdensome exercise in document review and production? When facing a substantial CID that seeks both existing records and written responses, it may seem like an efficient and adequate response to simply give the Antitrust Division or the FTC open access to your company’s files, especially if you do not think you have anything to hide. However, this is generally not a prudent approach. For one, a “document dump” may not be considered adequately responsive when the Antitrust Division or FTC seeks specific information in interrogatory format. For another, if your company has engaged in anticompetitive conduct, you do not want to inadvertently give the government the key evidence it needs to pursue a case against you. In fact, once your team has finished assembling documents and answers for the company’s response, it is important to review the entire response prior to submission. Are there documents that are non-responsive and potentially harmful to your company’s interests? Are there communications that are protected by the attorney-client privilege? Oversights now could lead to substantial problems and headaches down the line. On the same token, companies should not intentionally withhold responsive information. As noted earlier, there are significant penalties for violating a civil investigative demand. Additionally, the CID is just one tool in a chest full of investigatory mechanisms; and, if you intentionally withhold information now, there is a strong chance that both the concealed information and your efforts at concealment will come to light later. If your company is under investigation (or if you are wary of a potential investigation) and you have concerns about disclosing information to the federal government, you need to discuss your options with your legal counsel. At Oberheiden, P.C., our attorneys have decades of experience on both sides of federal investigations, and we are happy to help you strategize in a complimentary initial consultation. If you would like to discuss your civil investigative demand with the federal defense attorneys at Oberheiden, P.C., please call (888) 452-2503 or contact us online. With multiple office locations across the country, we represent health care providers and other clients in federal investigations nationwide.